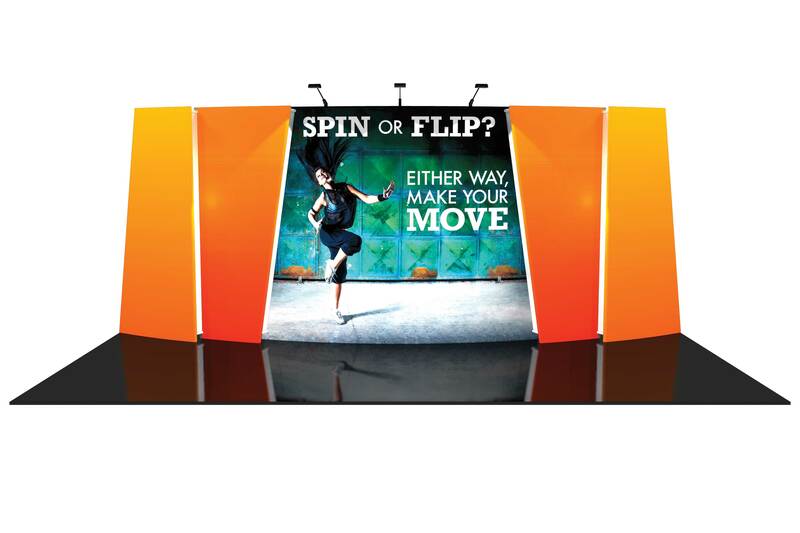 The Flip 10' x 20' exhibits from thompson kerr displays, incorporate layered, staggered walls that are connected to create a unique, dimensional and versatile display. 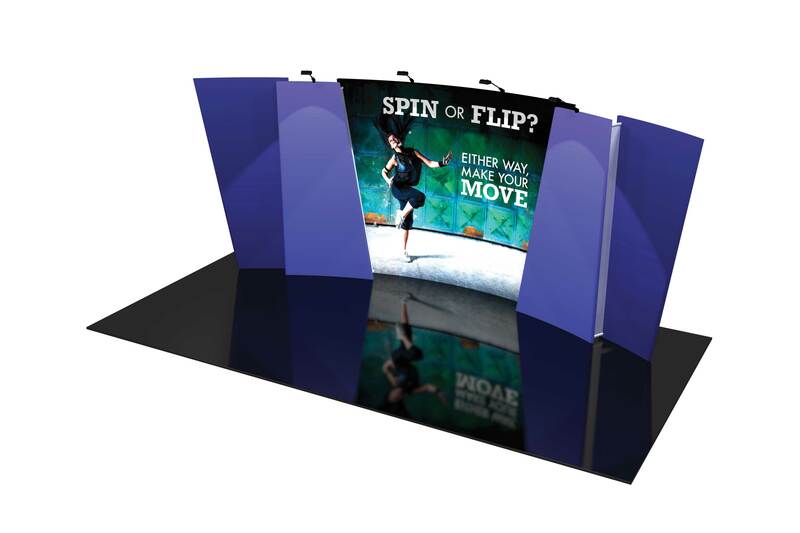 Double sided graphics enable you to feature a different look, brand or messaging so you can spin from front to back or use as a creative space divider for a larger space. 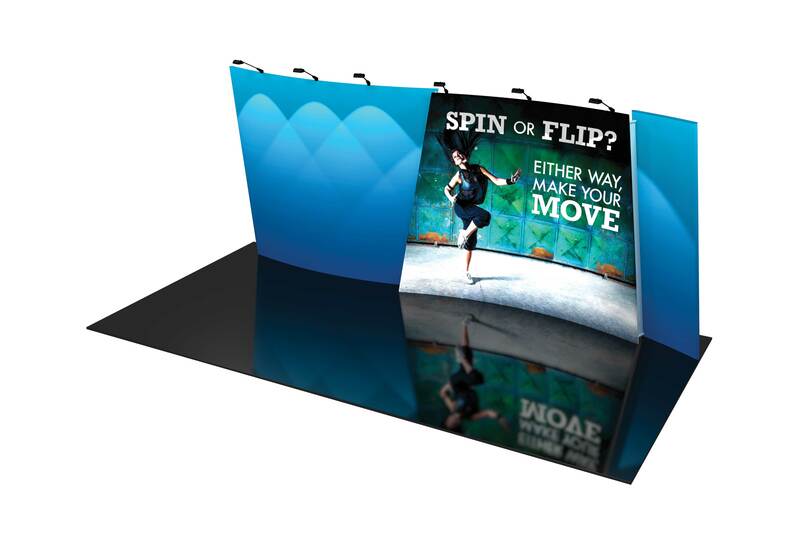 With an easy graphic change, you can flip from top to bottom to create a new, different exhibit and look for your next event. 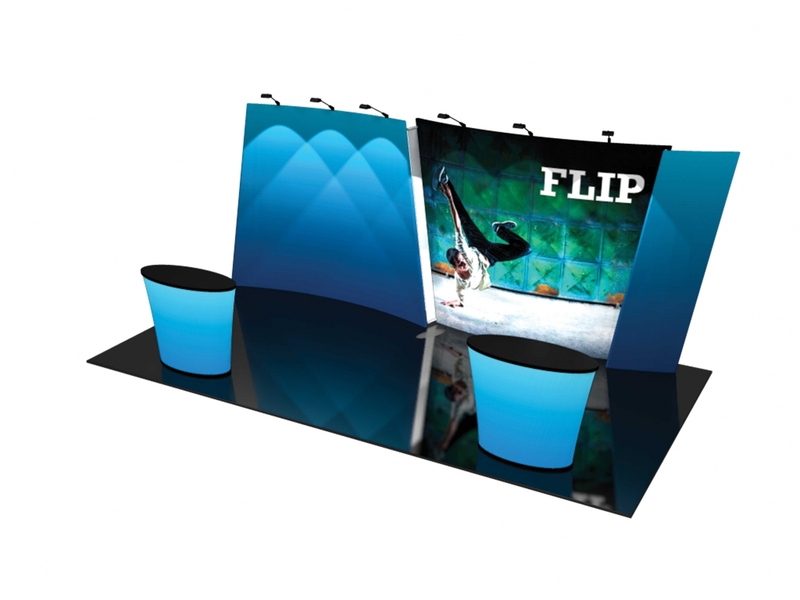 With the versatility of FLIP, you have many options to reconfigure over and over for a long-lasting, ever changing display.